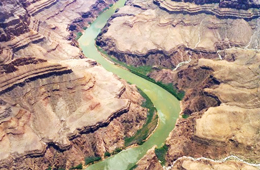 The Grand Canyon stretches 277 miles along the Colorado River and is home to multiple native Indian tribes. It was officially recognized as a national park in 1919, and the park covers 1,900 square miles. It is so expansive that you cannot simply drive by to get a good look at its natural beauty. You may want to plan a weekend at the canyon if your goal is to take in all of its beauty, including more than 200 bird species, 25 reptile species and five amphibian species. Should you take the Grand Canyon on foot, or is there a better way to take in the views? That depends on how long you can spend at this destination and your personal interests. Keep reading for information regarding your three best sight-seeing options. You may not find a hike through the Grand Canyon the easiest walk in the park, but you will rank it as one of your most memorable hikes of all time. You can hike anytime of the year, but prepare yourself for extreme temperatures in the winter and summer months. Regardless of the month, you will need appropriate clothing to the season and tons of water to make it through the hike safely and comfortably. There are hiking locations suitable for young children, the elderly and people severely out of shape, but you should expect to hike a shorter distance when accompanied by people in these categories. Even if you are in exceptional shape and are a proficient hiker, you will find the terrain inside the canyon challenging. Expect sore muscles when you emerge. 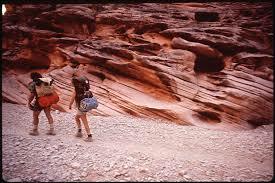 You can turn your Grand Canyon hike into a day trip or plan to backpack overnight. Make sure you are equipped for extreme temperatures when spending the night in the Grand Canyon National Park. If you aren’t looking forward to the exhaustion of walking through the heat, you may find drifting over the river a more enjoyable experience. 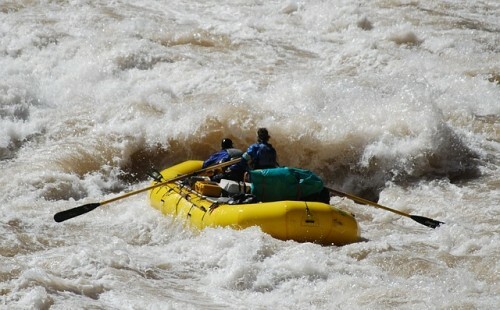 Whitewater rafting the Colorado River takes you through the heart of the canyon, and you can spend some time exploring while you are inside. Many whitewater river rafting experiences allow you to hike along paths inside the canyon, taking in views of waterfalls, birds and canyons. The trip comes to a close with a final journey down the river. You may also enjoy a picnic or other relaxing activities while in the canyon, depending on the company coordinating your trip. 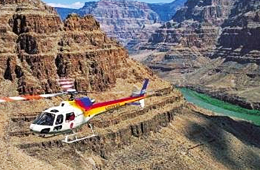 Take to the air to see one or more rims of the Grand Canyon from up high. If you want to see the full expanse of the Grand Canyon to appreciate its breathtaking size, this is as close as you will get. 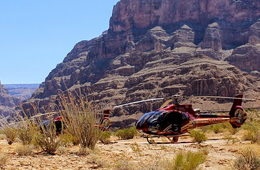 Tours depart from Las Vegas and other surrounding locations, so you can make it a quick trip or touch down and enjoy excursions on the ground as part of your trip. All of these Grand Canyon experiences offer different views of this amazing landscape. Pick one method of travel depending on what you would like to do at the canyon. If you are interested in painting the landscape you may choose to go for an overnight hike while the river rafting experience may appeal to you more if you enjoy adventure vacations.